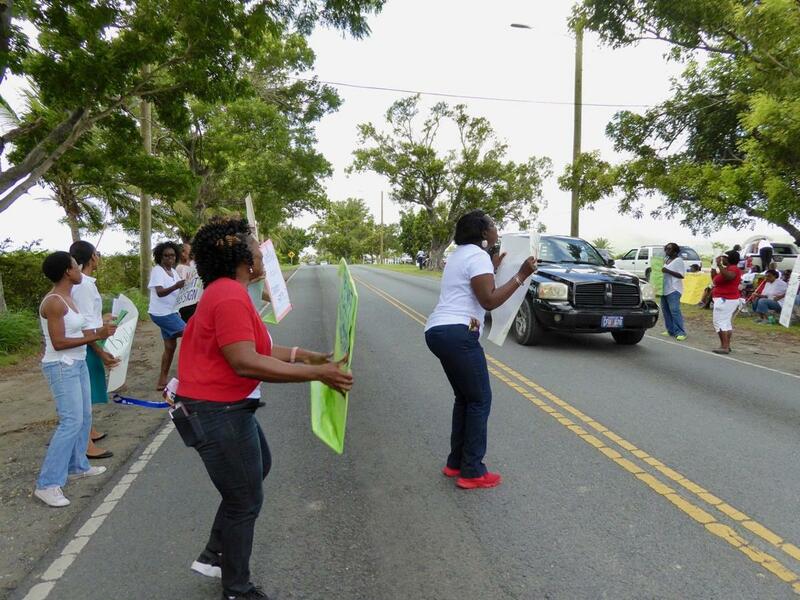 CHARLOTTE AMALIE – The Virgin Islands government said that it plans to return to the negotiating table with the American Federation of Teachers (AFT) this week and remains committed to raising salaries for union members and government employees across the board. Governor Kenneth Mapp spoke at a news conference on St. Thomas called to address matters related to education, including teachers’ recent rejection of a proposal approved by union leadership. Mapp said he has not yet received a counter offer from the AFT and urged teachers to remain on the job and allow discussions to proceed in an orderly fashion. Mapp said that his administration had met with education union leaders in 2015 to discuss their priorities and that he had addressed the majority of their concerns. Union leaders said then that teachers were very distressed about the failure of the previous Administration to pay a portion of the contract agreed to in 2010. The Mapp-Potter Administration said that it intends to pay teachers and other many unionized employees. “In 2016, we didn’t just pay teachers, we paid over 3,000 government workers on their outstanding obligations on the collective bargaining agreements they signed in 2010, bringing all of the collective bargaining agreements up to date and funding them,” Mapp said. One of the other major issues raised by AFT leaders was that starting salaries were too low in order to recruit and retain qualified teachers. Last month, Mapp issued an Executive Order that increased starting base salaries for teachers from $34,000 to $44,000. Some union leaders have now complained that this is unfair to current teachers. However, the Governor has repeatedly explained that he only has the power to increase base salaries and the wages for senior teachers must be addressed at the bargaining table. Mapp said he and Lt. Governor Potter are committed to supporting a living wage for all Virgin Islanders. At least 5,000 government workers have received salary increases since 2016 and the governor approved legislation increasing the minimum wage for all private sector workers from $7.25 to $10.50 per hour, he said. Mapp thanked the teachers, students and parents for their patience as schools reopened. He assured that all necessary steps were being taken to protect students and staff and there would be air quality testing at each of the territory’s public schools.